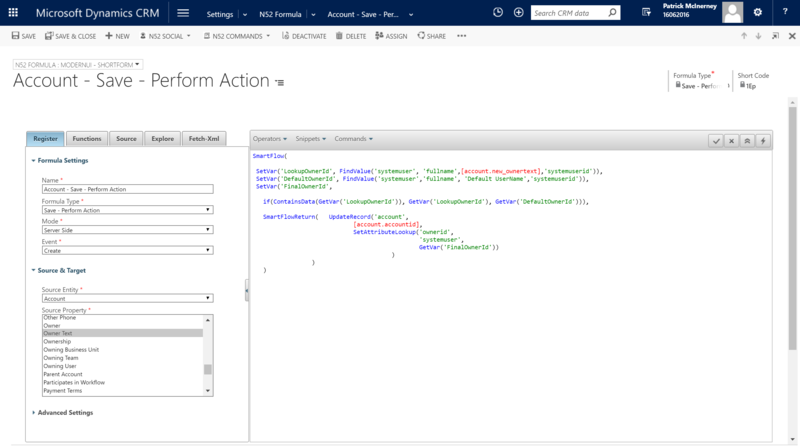 In the previous sample we saw the following requirement that we had a 3rd party integration creating Account records within Dynamics CRM. This integration cannot set the ownerid field of the record but it can set a text field with the name of the owner. So we need to use this information to lookup the User ID value & set it to the owner of the Account record. In this advanced scenario we need to set a default if no User ID is found when we use the Owner Text to perform the lookup. Note 1 : The formula has been written so it easy to understand. However we can make this formula more efficient by combining the second & third SetVar() function calls. This would save us an extra lookup in relation to the default User ID when the first one exists. 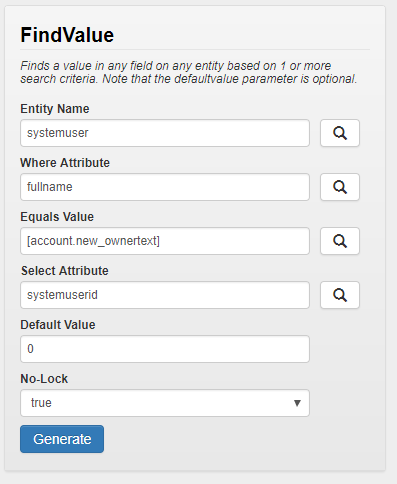 Note 2: to find the value for Equals Value, you will need to go to the Source tab and find the field.